Read on to understand the different sections of your Affiliate page. The first thing that will be visible to you once you log in is your Dashboard. The dashboard will provide you a thorough insight into your performance as an Affiliate. 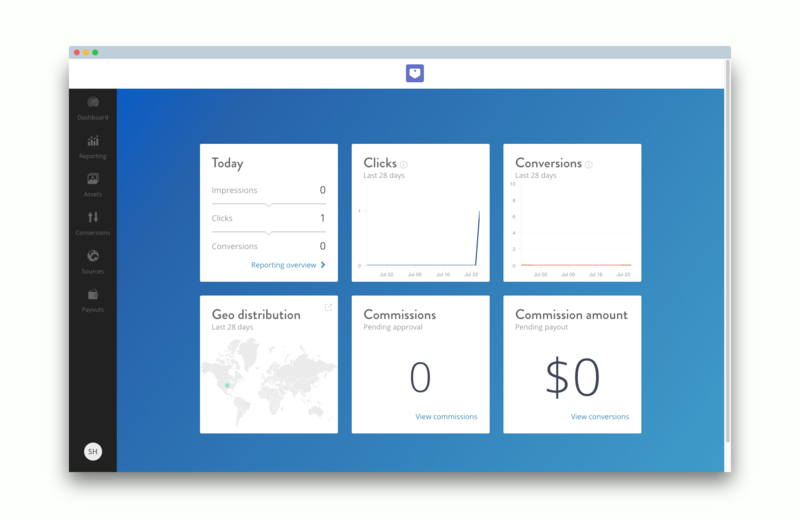 The dashboard will show you how many people have clicked on your referral link in the month, what your status is today, from which part of the world you are obtaining maximum conversions as well as the number and amount of approved commissions. Second to the dashboard, is the Reporting. This will report in great detail, how your programme is doing per day, per week, per month and per year. You can check how many impressions (views) your content got, how many clicks and how many conversions in a simple easy-to-understand graph. You will also be able to view statistics per country and per source. 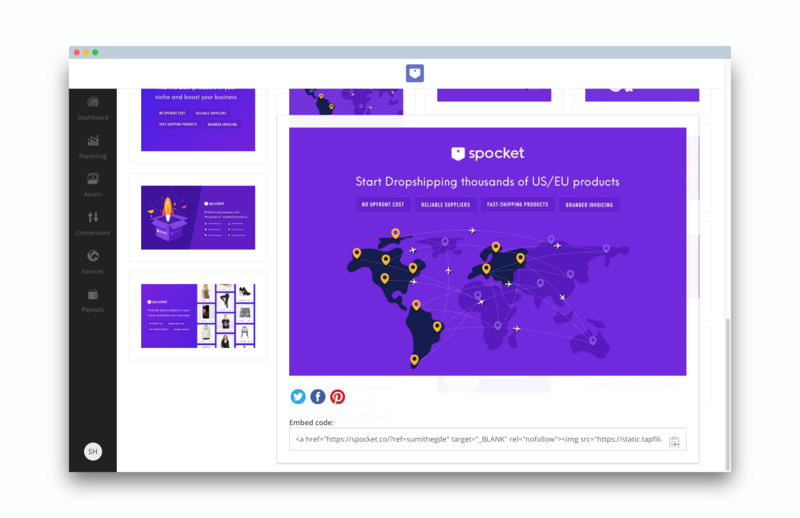 You can use multiple sources such as your social media channels, your YouTube channel, your personal blog etc to spread word about Spocket- and all information about the talk created by your channels will be visible on the reporting page! The third section is the Conversions, which is self-explanatory. This will reveal all your successful conversions- ie. all the people who have signed up for Spocket using your referral link. The fourth section is the Assets page, where all the material you require to start marketing Spocket will be provided to you. These include banners and posters that we have designed, keeping in line with the theme of our site and app. Your referral link is placed right at the top of this page- make sure to include it everywhere, since this is what will be considered for your commissions. You can post these on various platforms- and you can track the impressions and clicks they have gained in the other sections mentioned above. You can share directly or embed the code in your website. Hover over the image to reveal the code. 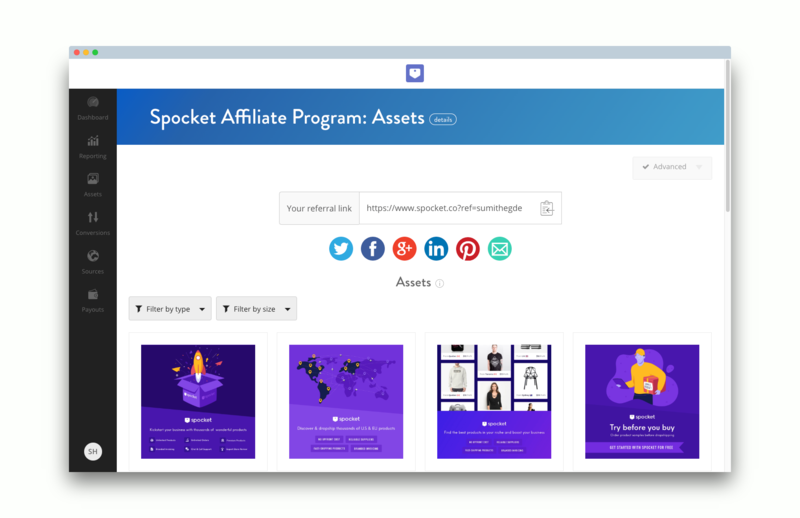 The Sources section is where platforms that you use to market Spocket will go. For example, if you make a YouTube video, or want to share your banners on social media- you enter these here. 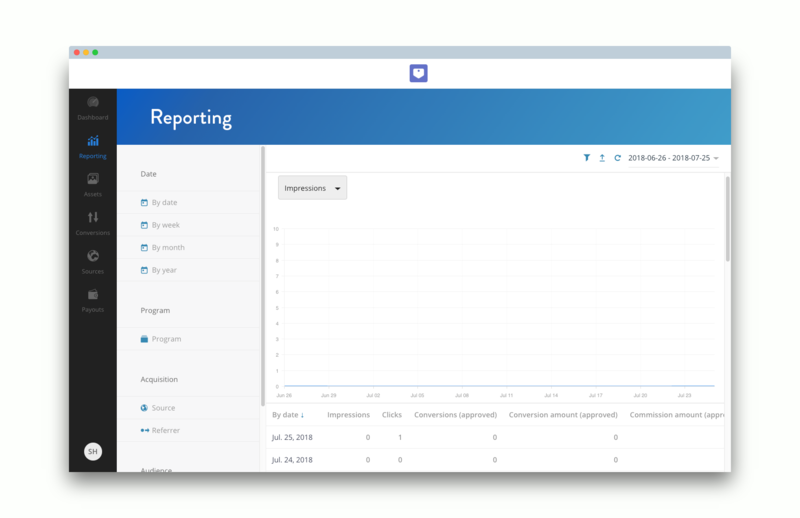 For the statistics for these separate channels to show up individually on the dashboard and reporting sections, you will have to add the sources here. This will help you understand which sources are generating the most conversions and what behavior pattern they follow with respect to time. Finally, in the Payouts section, you will be able to view all the payments you have received from us!